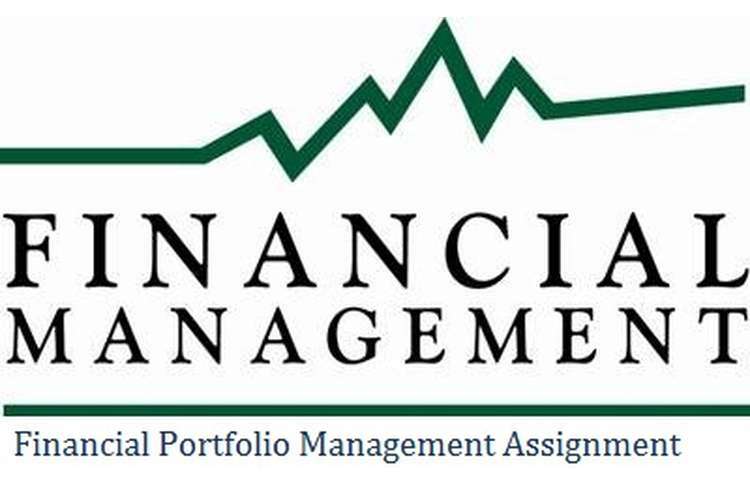 This financial portfolio management assignment based on different financial factor of organization and financial risk management. Market risk: This is one of the key factors that have significant influence on the expected return of organization as it involves the demand, supply, competitors and price fluctuation. Top management of organization needs to consider this factor for forecasting the expected return and planning of the operations to meet the financial objectives (Brigham and Ehrhardt, 2013). Size risk: In financial management the size of the organization also have direct impact on the expected return of the portfolio that creates the pressure on the stock. For example small organization can have the higher return for internment compare to large organization as they involve higher risk in the investment. By considering this factor investors must be compensate with the higher expected return. Value risk: According to analysis, the factors that influence expected return include value risk that majorly depends on value stock, relative to growth stock and prices in the market. For organizational growth it is essential to compare the value in open market that helps to generate the higher return for the investment and support to attract the buyers to increase the value. This kind of process is helpful for analyzing and determining the expected return for the portfolio. It is been considered that asset allocation accounts for large part of the variability in the return on the typical investor portfolio includes the multiple funds along with the numbers of securities. According to study, asset allocation refers to allocation of an investor’s portfolio among a number of major assets of different classes. However, it is for one portfolio but it depends on the classes (Brigham and Houston, 2012). While it is possible to attempt to determine a fund's exposures from a detailed analysis of the securities held by the fund, a simpler approach typically provides more than enough information for purposes of asset allocation. It will take time to make decision for determining the procedure of distribution of asset. In addition to this, for allocation of portfolio management requires to consider the factors like enterprise review, determination of policy, proper implementation and monitoring of the ongoing activities. This kind of process will be beneficial for the financial management and allocation of risk management. Apart from that, selection of portfolio management can be done by the investors who analyze the classes and make balance though investing in stocks and bonds. The selection of portfolio involves replacement of balanced portfolios by separating assets class using the foreign market equities (Oikonomou.et.al. 2012). Moreover the selection of portfolio is broader adoption of real estate and forms of private investment that could be venture capital, buyout funds and availability of the resources to meet the standard for proper financial management. Q3. Explain the motives behind mergers and takeovers. Tax advantage: For financial management, tax advantage is essential that help to increase the wealth of organization. If the acquiring organization has a tax loss carries forward than the management will get the tax advantage but not for holding the companies (Kaplan and Atkinson, 2015). This means the acquiring company will be able to deduct past losses of the target company from the consolidated taxable income, within limits. Increase liquidity for owners: According to evaluation, if the acquiring organization is large and targeting the small organization for merger than it very appealing that after merger the share of organization will help to increase the liquidity and marketability. Growth: This would be considering as main motive behind merger and takeover in the current scenario. The process of merger and takeover is less costly and risky for the acquiring organization to provide the similar line for business than to expand the operation internally (DRURY, 2013). This kind of process is very helpful for grow the business as well provide the opportunities for deal with the new market segments without further investment. For effective financial management, merger and takeover are additional benefits for growth of the business which overcome the level of competition. Brigham, E.F. and Ehrhardt, M.C., 2013. Financial management: Theory & practice. Cengage Learning. Brigham, E.F. and Houston, J.F., 2012. Fundamentals of financial management. Cengage Learning. DRURY, C.M., 2013. Management and cost accounting. Springer. Oikonomou, I., Brooks, C. and Pavelin, S., 2012. The impact of corporate social performance on financial risk and utility: A longitudinal analysis. Financial Management,41(2), pp.483-515.